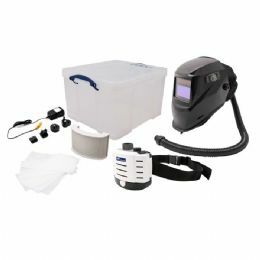 Allpipe Breathing Apparatus supply the Centurion ConceptAir welding auto-darkening visor with 200 litre per-minute Powered Air Purifying Respirator supplied with 99.97% efficiency particle filters. 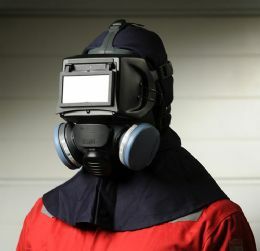 The Promask negative pressure respirator gasmask range can also be equipped with a welding visor fitted with a clear lens and shade 10 lens as well as spark guards for protecting the speech and exhalation diaphragms. 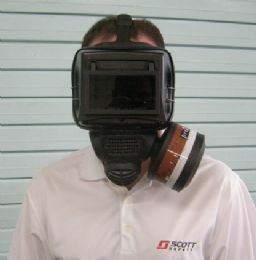 There is new scientific evidence that exposure to all welding fume, including mild steel welding fume, can cause lung cancer. There is also limited evidence linked to kidney cancer.